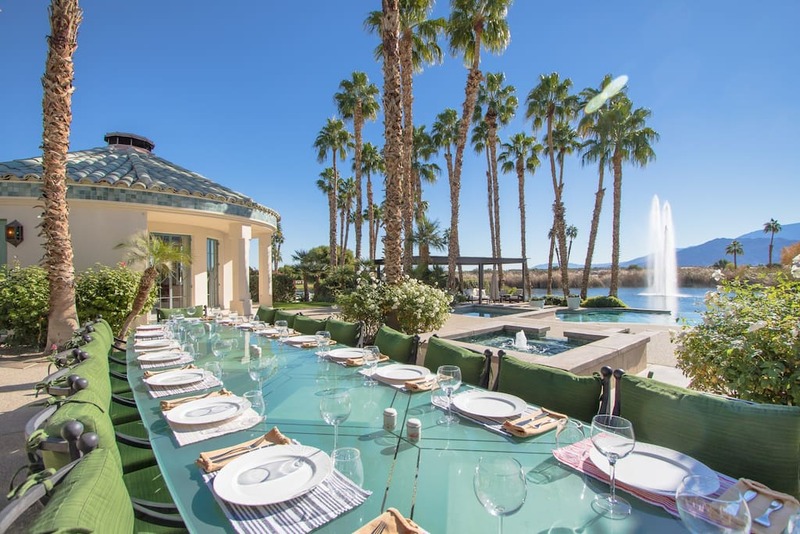 Nestled between palm trees, with the Santa Rosa Mountains in the background, is the Merv Griffin Estate. 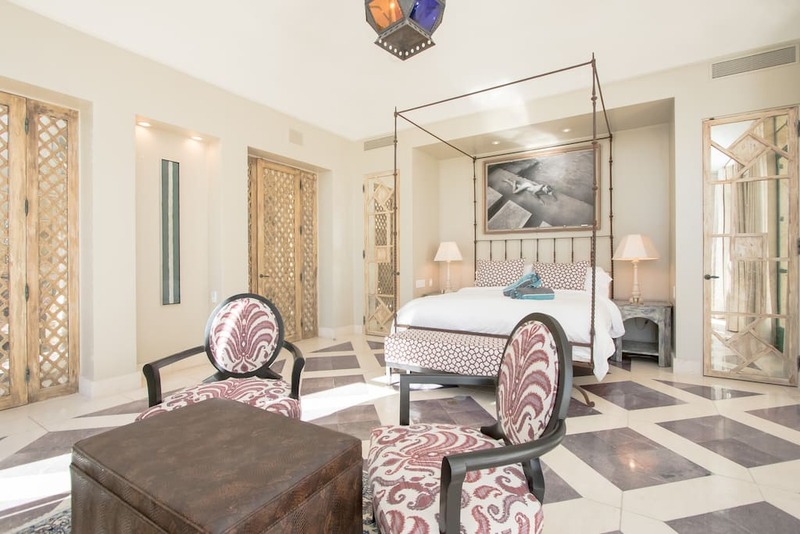 Located in La Quinta, CA, the 39-acre Moroccan-themed compound sleeps 26, with rates of $5,000 - $13,000/night. The home, which has a main house, 2 guest houses, and several guest pods, includes 13 bedrooms in total, all of which are decorated in custom, contemporary décor. 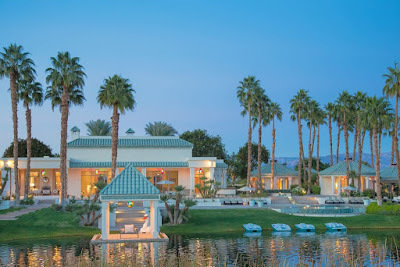 On property, guests have access to a full kitchen, al fresco dining on the terrace, along with an infinity pool, and a private pond perfect for paddleboarding.